Sea, Sand & Sky: First time kayaking in Pleasure Bay! 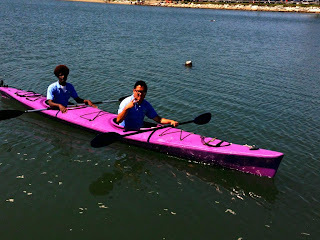 Last week at the McDonough Sailing Center I was able to take some time off of working on the dock and go out kayaking! 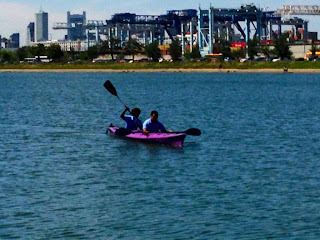 I was a bit reluctant because I have never been saltwater kayaking and I was afraid the waves would be a problem. 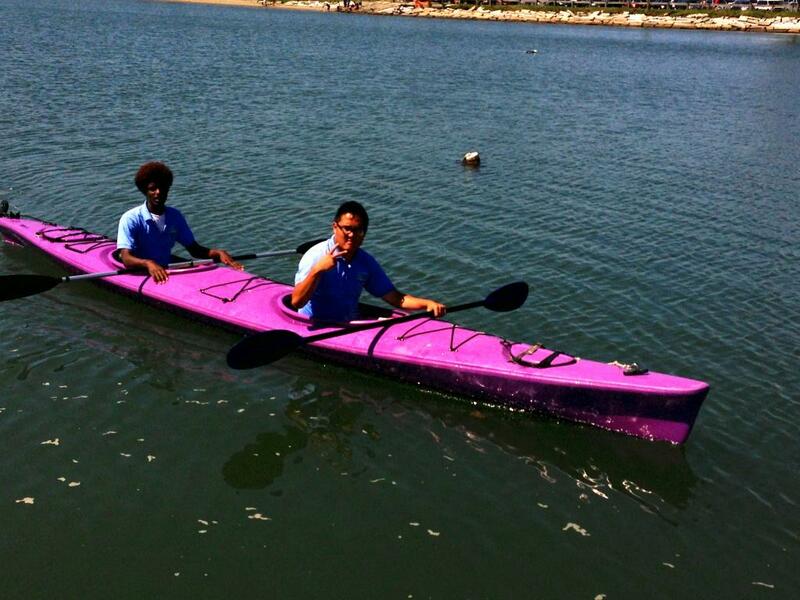 However I decided to take the risk and embark on a two person kayak with Manny Adugna. The experience was very fun! Manny and I went far out into Pleasure Bay, so far that we were on the other side of the bay. We even went out to the "lochs" were the current was significantly stronger and fast. 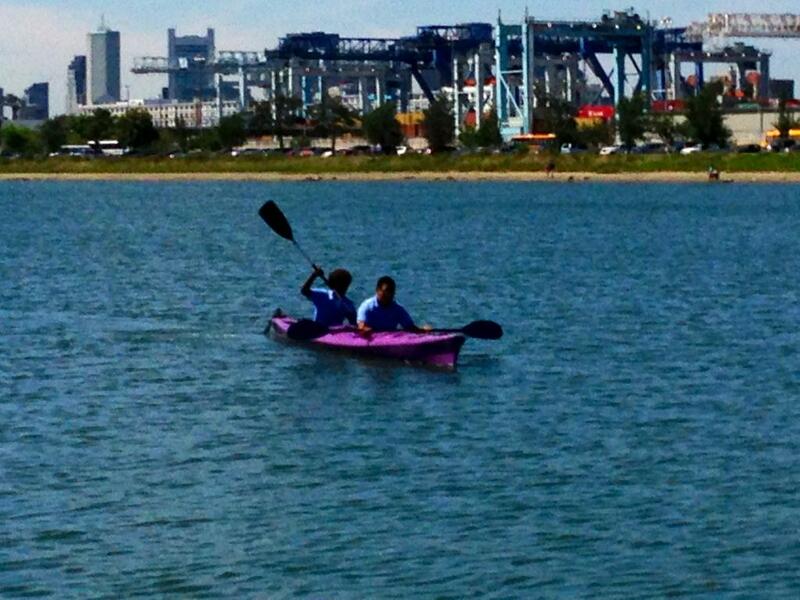 Although we both weren't paddling, the current was slowly but surely pulling us underneath the bridge. We stuck around and were able to see a guy pull up a huge striped bass that was easily 35 inches long. Manny and I both had a lot of fun because we were able to let go of the stress from working on the hectic dock and get a decent workout. As easy as it looks kayaking is actually physically draining. On the way back to shore Manny and I both raced back. It felt very good to be able to let your hand skim along the water and feel the refreshing cold temperature. I was glad to have had such an exciting opportunity!